We value repeatable, predictable results regardless of system size or complexity. Ease of use is the most important quality of any smart home. Learn how to use the system in minutes, not hours. Easier to use means used more often. We value reliability over anything else, and it’s our most influential attribute in product selection. Consistent design means continually repeating proven results. Control looks and feels the same across all system sizes. Start small and grow your system in size and capability over time, without having to repurchase equipment. Control everything from a single user interface. 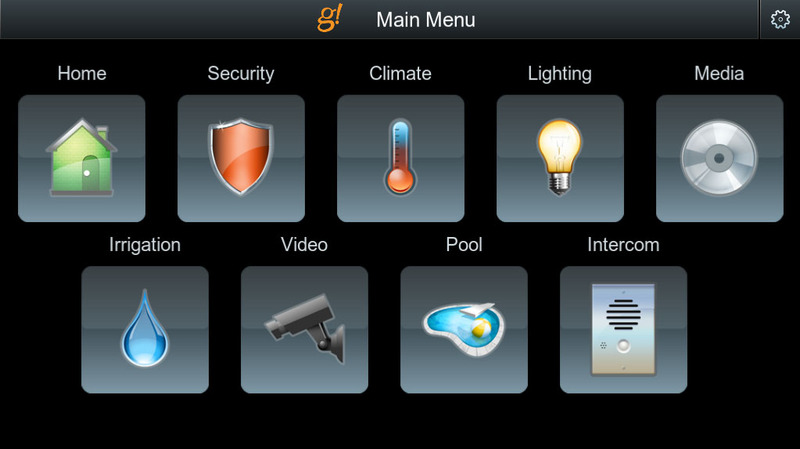 Whether it’s an in-wall touch panel, a smart phone, or a tablet we enable control over all of your home sub-systems from a single screen. The menu looks and feels the same across all devices that control the system. Once you’ve learned to use one device you’ve already learned how to use them all. Access your security system from anywhere. Check in to make sure you armed the system before you left, or disarm the system to let someone in your house while you’re gone. See a history of tripped sensors, or even have notifications sent when your alarm has been tripped. Automate functions based upon your alarm status. 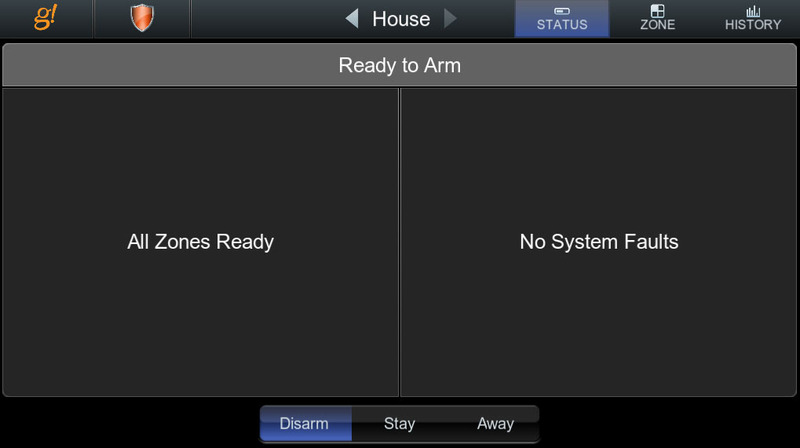 Arming the system will power off all audio/video equipment, set lighting timers near street facing windows, and even set your climate control to save energy while the house is unoccupied. Robust climate control from home and away. 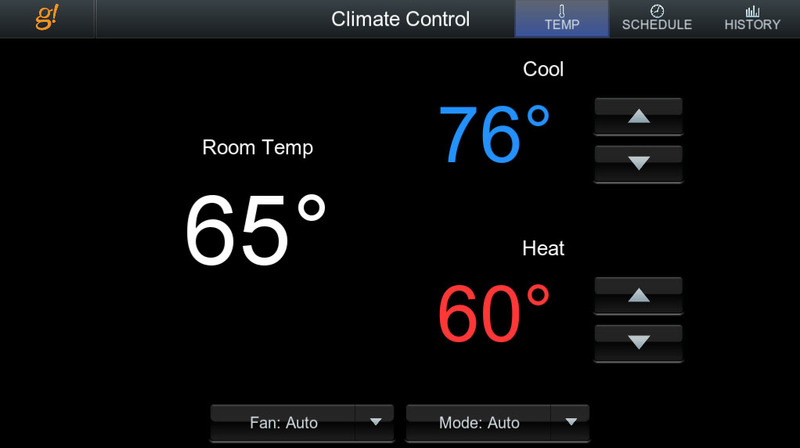 Access up to 64 thermostats from anywhere. Set an energy saving schedule for when you’re away and make the house more comfortable before coming home. Automate scheduling based on time of day and home/away. Hands free automation makes your home smart. Your lighting system should react differently depending on the time of day. Late night trip to the bathroom? The lights should come on to 20% brightness the moment you walk through the door. Exterior lighting should turn on at sunset and off at sunrise. Customized lighting means more control with less devices. Replace 7 dimmers in your kitchen with a single keypad that has 5 scenes. One could say “Cook” and it would set the lights accordingly. Starting a movie? Your system should know that, and adjust the lighting. Fast and easy Audio/Video control. Control of audio and video components is simple. Choose a room, then select what you want to watch or listen to. One touch source selection for whole home audio and media rooms. Listen to the streaming services you love including Pandora, Spotify, TuneIn, and many more. 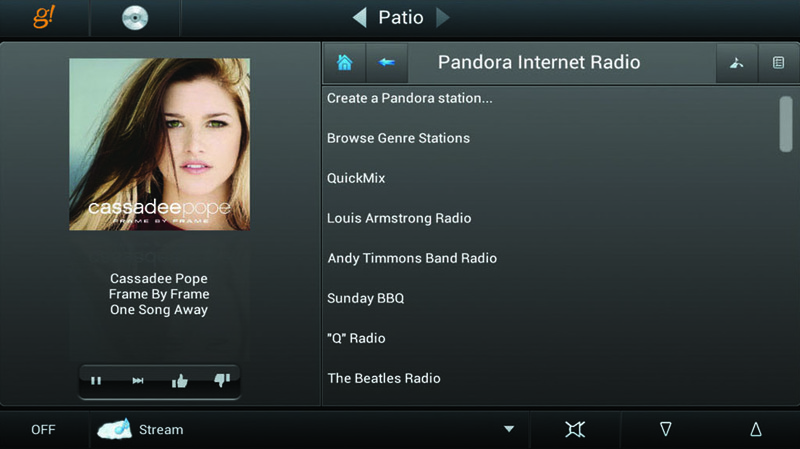 See all of your stations and album art on control devices such as touch panels, smart phones, or tablets. Schedule irrigation based on sunrise and sunset instead of a clock for more efficient results. As the seasons change, you will always be watering at the optimal time. 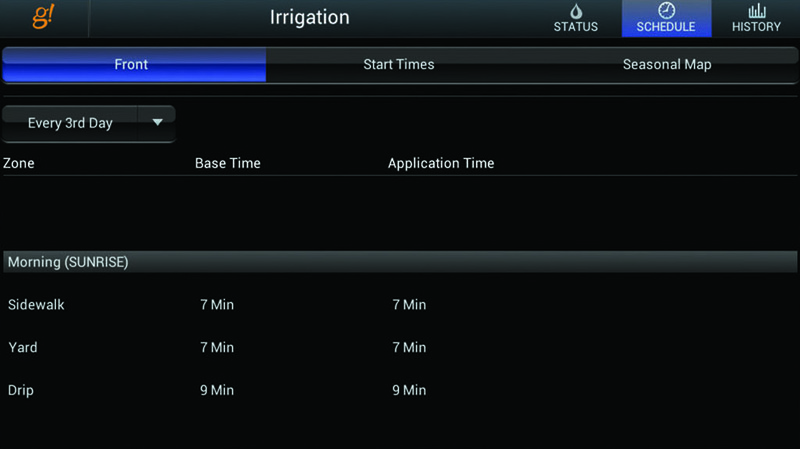 Easily adjustable irrigation control means less waste and more savings. During rainy seasons, schedules can be set to every third day while in the middle of the summer it can be increased to every other day. Surveillance video for safety and convenience. 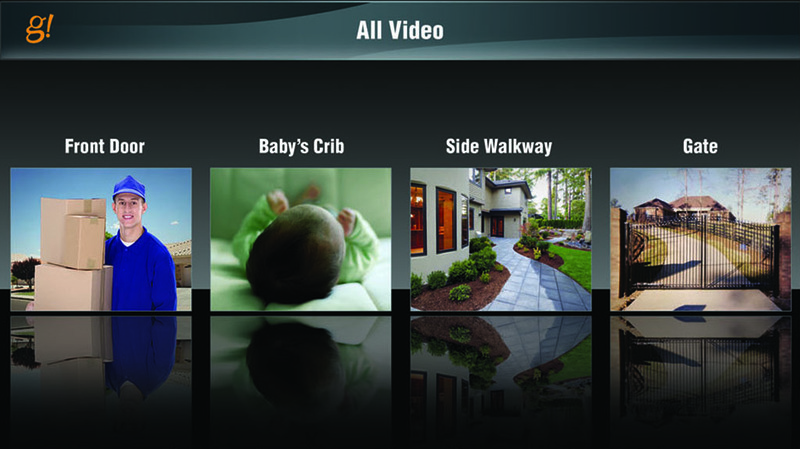 View cameras from any touch panel, smart phone, or tablet. Check in on your home when you’re away. Record and review the footage with a network video recorder. Front door and gate controllers feature IP cameras and two-way intercom. See and talk to uninvited guests before you let them in. 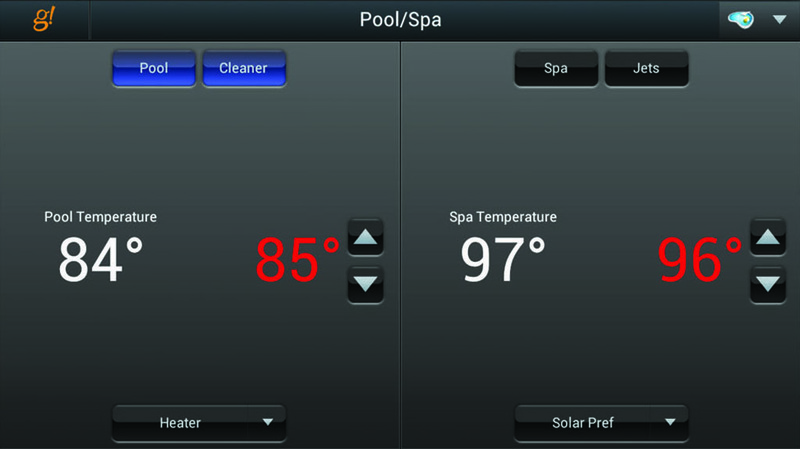 Energy efficient pool and spa integration. Pool and spa systems are a huge consumer of energy. Make your pool more energy efficient by setting schedules to maximize energy efficiency when not in use. With access to the spa controls from inside the house, you can adjust the set points well before you’re ready to get in. You can even set the temperature before you leave for home so that you’ll know it’s ready when you are. Decrease cost while increasing comfort.